Guenter Scholz’s decorative wine bottle holders allow homeowners to adorn their racks and shelves in a unique way. These highly practical and artistically brilliant pieces eulogize recycled art to convey the hidden warmth and individuality of things we toss away thoughtlessly. 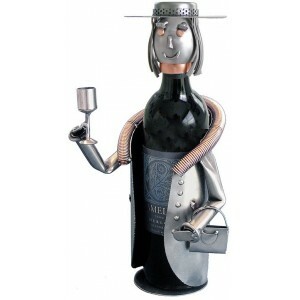 Aside from soothing the fancies of metal art lovers, the wild wine caddies are sure to appeal a wider audience that loves recycled art. 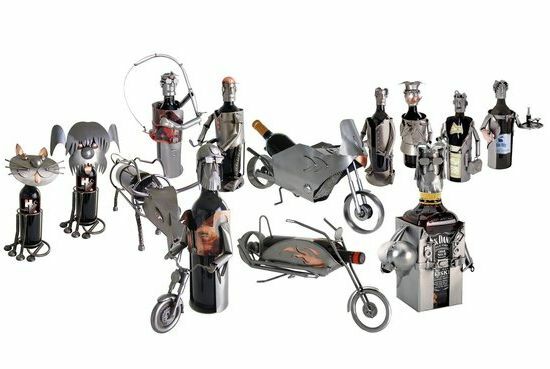 Created for H & K Recycled Metal Art, the wine caddy collection flaunts remarkable sculptures crafted from recycled steel or copper. 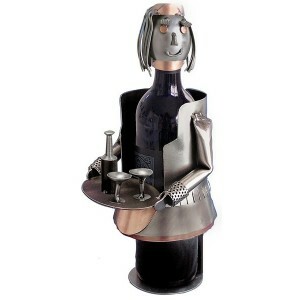 Available in more than 100 styles at Metal Imagination, each of the metal sculptures has its own one-of-a-kind identity. Can’t help labeling them as whimsical, especially if we consider the artistic amalgamation of metal and art. 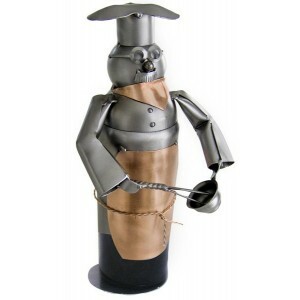 Handmade in Germany, the decorative wine bottle holders retail at $29 to $119 per piece.